Hunstanton Sailing Club will be hosting a BBQ this Sunday 25th to welcome home a team of firefighters kayaking across the wash. The firefighters from Cambridge Airport are raising funds for a variety of charities including the RNLI and have received support, training and equipment from our very own Les Collinson at Hunstanton Kayaks. All welcome – so come on down and cheer them home – the bar will be open, the barbie on – and collection tins on hand if you want to make a contribution to the chosen charities. The team are setting off from Skegness at 0900 with a support team consisting of Rib’s / jet ski’s and hope to land at Hunstanton around 1600. 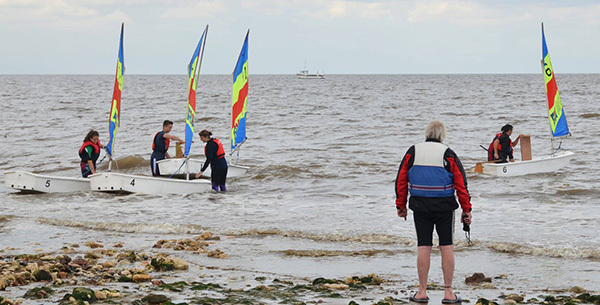 Hunstanton Sailing Club is hosting a club BBQ on Easter Sunday, 20th April. There will be a free children’s Easter Egg Hunt at 2pm followed by BBQ at 4pm. 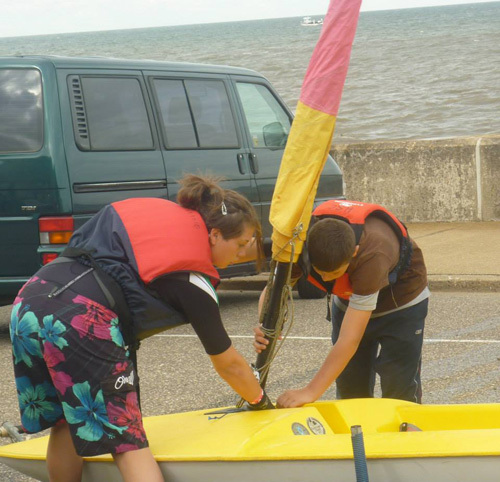 Weather-permitting we’ll have the various club sailing, windsurfing and stand-up paddle equipment out available for members to use. Hopefully this will also be an opportunity to distribute the membership swipe-cards for the new entry system which is being installed shortly. Hello to all our members and especially to all those new families who have joined in the past two to three months. 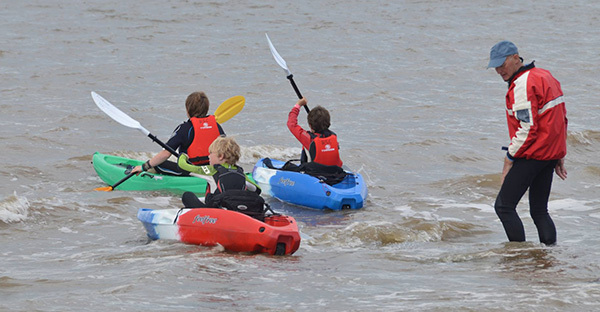 It’s good to see so many young people joining us and wanting to experience the clubs facilities and the various watersports equipment we currently have. My main purpose in writing is to invite any members who wish to join us at an AT HOME session on SATURDAY 28th SEPTEMBER between 4pm and 7pm. This will be an opportunity for those of you who wish to access the first floor. See what it’s like now, its potential in the near future, what needs to be done ‘in house’ and of course to soak up the view!!! We shall be inviting a few of those local people who have supported the clubs development including our Borough and Town Mayors, together with local councillors and business people. Since access will be via the loft stairs, do remember to wear suitable clothing and shoes folks! Do come along for a chat, to support your committee, and of course a view of the first floor. The bar will be open too!!! Mick wishes to thank all those volunteers who made today so successful. We had 21 Young People on the water despite high winds and a short nasty choppy sea which made sailing impossible even though we did attempt to get the Wayfarer and Micks cat on the water. A short broad reach back n forth convinced Mick it was too risky to take the youngsters out sailing, however we had mastless toppers, SUP Boards and Windsurfers on the water for 3hrs and the kids just loved it. They especially loved joining Tim n Dave on the Safety boat screaming up n down the coastline. Well done to everyone. A short rest tonight and then we have the Kayaks and possibly sailing tomorrow. We expect another 14 young peeps in the morning !!! All watersports lovers are invited – but you’ve got to be prepared to dress up / have a laugh! 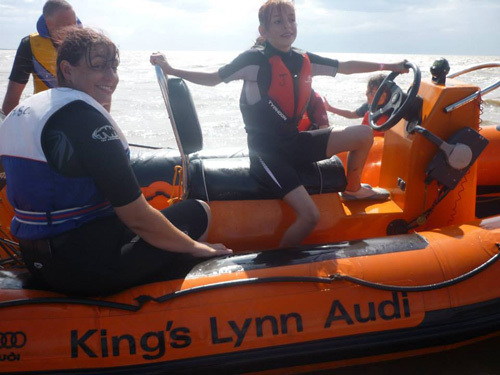 This coming Sunday 14th April, we are hosting a contingent of Sea Cadets from Kings Lynn. 12 -14 of them will be at the club by 10am so we need all the help we can muster to ensure they have a great time, including a possible BBQ if the weather is kind to us. We want to assist as many as possible to get on the water during the day with their qualified sailing instructor Bob Panrucker and colleagues . So come along and show them what a warm family friendly club we are. 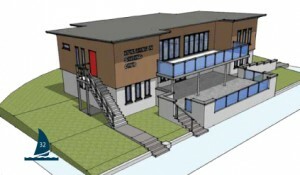 The AGM will be on the 21st April at Hunstanton Fire Station, an agenda will be sent to members shortly. The Committee will be considering the views of the Membership and constitution working party next Monday at a committee meeting so that they can put recommendations to the AGM agenda. Please remember, members can ask for postal votes or arrange proxy votes if they are unable to attend the AGM.